The U.S. Poker Open starts Thursday and has the potential to be one of the best events of the year. More than a handful of the best players in the world are confirmed for some, if not all, of the eight-event schedule. All participating players are worthy of previewing but we decided to cut right to the chase and look at six that stand out. Three No Limit specialists, two Mixed Game maestros and one dark horse. The 2017 American GPI Player of the Year made the majority of his over $8 million in earnings in events like the ones in USPO. Kenney, who won a Poker Masters event in 2017, is one of the betting favorites to win take home the US Poker Open Championship, which will be awarded to the best overall player. Already in 2018, Kenney is off to a strong in high rollers thanks to a third-place run in the PokerStars Caribbean Adventure Super High Roller. Kenney measures himself against a high standard and the USPO is the perfect chance for him to show why he is the greatest high roller player in the world. If Kenney was the best of the high rollers in 2017, Mateos proved once again why he’s #1 in terms of all-around No Limit excellence. This year is off to an excellent start for the young Spaniard with a final table run at the PCA Main Event and two second-place finishes at the Lucky Hearts Poker Open. Mateos won his third WSOP bracelet last summer and picked up two cashes in the Poker Masters. At only 23-years-old, Mateos is already proving himself to be one of the best in the game. USPO could be the tipping point that places him at the top of the game. Alongside Tom Marchese, Schindler is the co-ruler of the ARIA High Roller Series. Schindler has cashed 26 times in ARIA high roller events is second all-time on that list and earnings. The Super High Roller Bowl served as Schindler’s coming out party to a national audience and built on his dominance against the tough fields assembled at ARIA. Schindler is a quiet threat and always locked in to pick up more wins at his home away from home. The mixed game aspect of USPO is drawing the best all-around players to ARIA. Rast is an excellent No Limit player but also excels in all games. The two-time $50,000 Poker Players Championship winner plays literally every game in the book in Ivey’s Room at ARIA and excels in the tournament format. 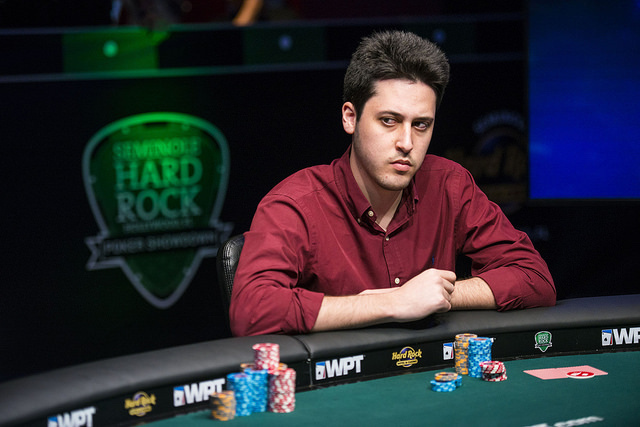 Rast won the inaugural Super High Roller Bowl in 2015 and is one of the most well-rounded players in the USPO field. The android brain of Haxton has optimized No Limit and Pot Limit Omaha in the online realm. Those skills have downloaded onto the live felt. Haxton consistently performs well in High Rollers across the world and is well adjusted to playing in the USPO format. The full eight-game slate in the Mixed Game Championship is fine for Haxton, who made the final table of the 2017 PPC. Who? Well, ‘Ali’, as he’s called online, is only 23-years-old as of this week but already competing and winning against the best in the world. Imsirovic entered the $25,000 high rollers at Seminole and PCA and won a $10,000 turbo to wrap up the Bahama series. He might be the one of the youngest in the field but Imsirovic’s experience of playing online for years gives him the necessary reps to take on the world’s best, making him the perfect dark horse for USPO.